So here we are again. Same radio, different day. In our last adventure, we discovered that my newly acquired Motorola Spectra Railroad Model was stuck in a boot loop with the FAIL 01/90 error code, the general hardware fault code. Unfortunately, it was not going to be as simple as program and go with this radio. It’s time to crack open the radio, which is relatively easy for a Motorola. All you need to do is remove the four hex screws on the bottom of the radio, and the two halves will split open with the display module in the middle. One one half lies the radio itself, with the control board exposed for prying eyes to see. Luckily for me, the MLM in this case was fine and was not where the problem lies. 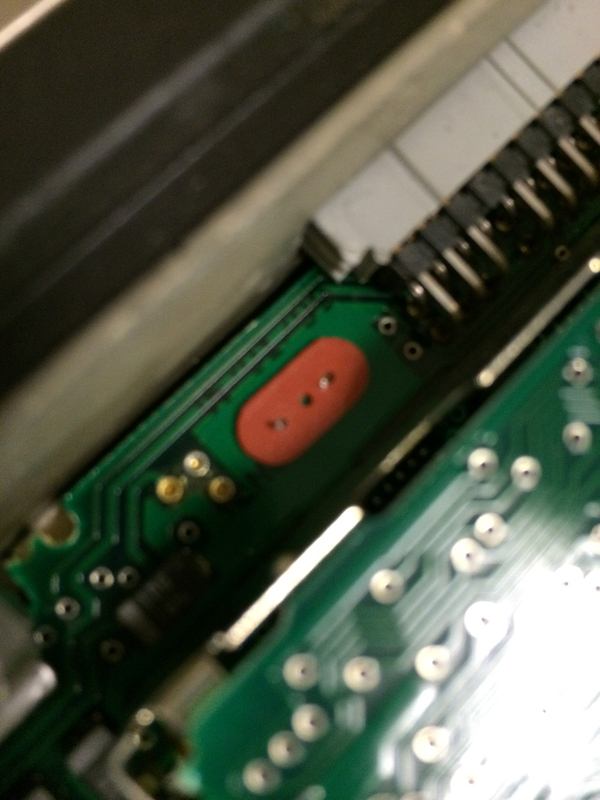 See all those exposed pads on the circuit board where it seems like there should be chips? Well, yeah, there are supposed to be chips there. 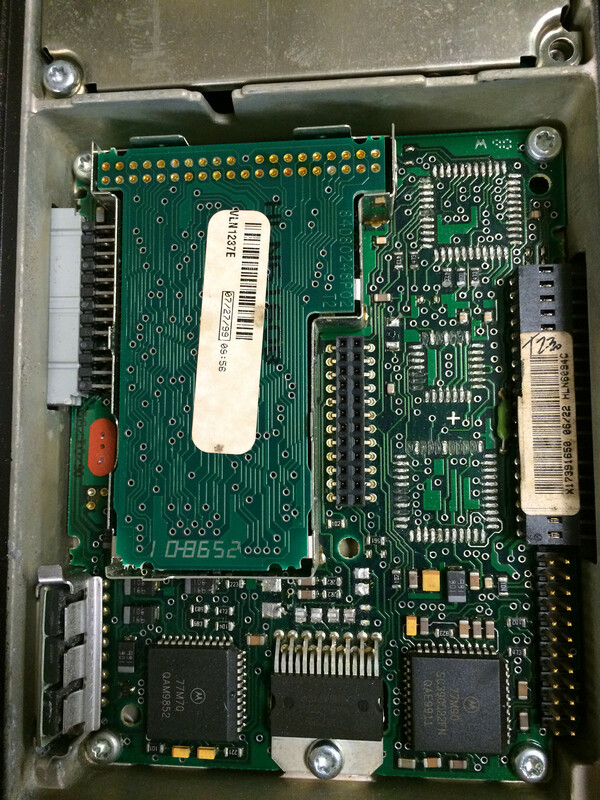 In my radio, however, someone decided to have a go at the control board for parts, and this radio was the result. There are at least 3 missing IC’s on this board, along with many many passive components. Additionally, the main crystal for the radio was also removed, meaning if these chips were there the radio still would be nothing more than a brick. This would expliain FAIL 01/90. The radio is looking for the control board, and since the control board is practically missing it can’t find it. The mystery is solved! I’ve unofficially declared this control board dead. There’s no way to recover the pads on the board, nor is there a way to get then chips that belong there anyway. As luck would have it, however, there just happened to be the same model number of control board for sale on ebay, and within an hour of discovering the fault in my radio I had a new control board on the way. Stay tuned for part 3, and hopefully we won’t run into any more unexpected issues. So far it looks like the radio might be saved yet. Interesting stuff! I am about to buy one myself is it worth it? Thanks! They’re great radios. Really solid and probably the best receiver in a Motorola. However programming them is a bit of a task and requires a very specific processor speed and programming cables. It sometimes takes a bit to get it to take a codeplug properly.